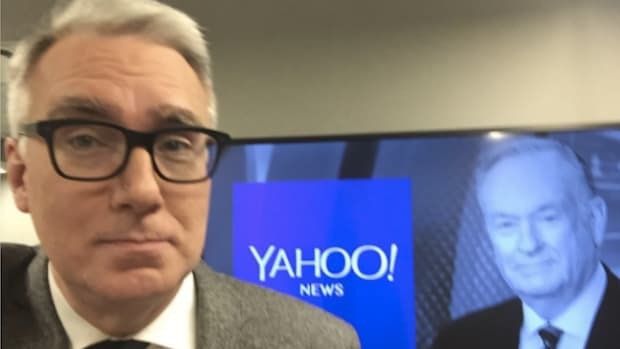 In an interview with TV newser&apos;s Gail Shister, Keith Olbermann revealed that he takes yoga and "I think I could take him (O&apos;Reilly) if it comes to that." Gotta love the Keith. "Olbermann says he agrees with Stephen Colbert&apos;s assessment of MSNBC&apos;s new &apos;It&apos; girl, Rachel Maddow, as "the queen of cable." It&apos;s been made more difficult for women, mostly through the actions of men." Not so for Maddow, however. Olbermann has been her champion from the start. nice. Sometimes the door opens and I throw a punch." 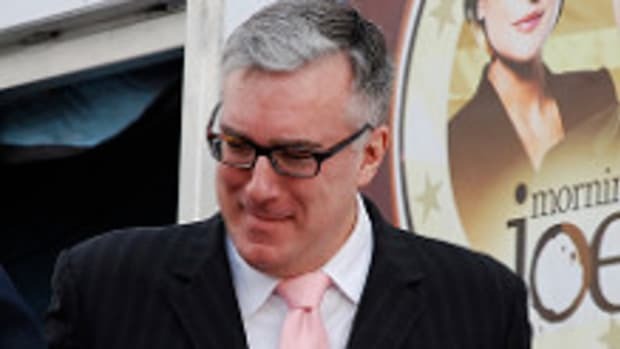 Speaking of punches, Olbermann says he would crush his nemesis, Fox News&apos; Bill O&apos;Reilly, in an arm wrestling match. three times a week. I think I could take him if it comes to that.""